Well,here I am on bot lane at last. And it feels so wonderful to be camped every single game when I play Ashe! You get camped early.A lot!And just when you think things can’t get worse,try to get some kills and carry a single game.Your own team will refuse to protect you,since you know – Ashe carrying her whole team is too embarrassing!Them utility carries gotta know their place! 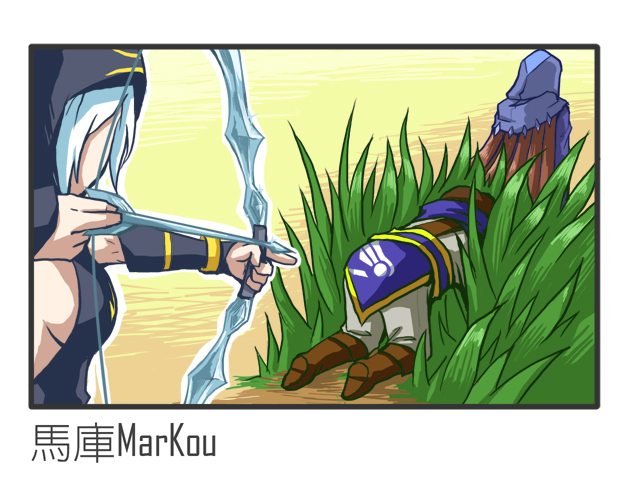 AS runes are really good for tuning Ashe and providing you with enjoyable lane phase. New “W” feels weaker.Rip “E”.The gold passive was really good.At least you can provide vision all over the map now,at track the enemy jungler,as well as getting the timers on objectives. 3 points for MS in utility is pretty rad. Miss all the ults across the map,get focused,die since you lost an ability that does decent peeling job for you! Tristana “Q”.Get all the turrets!